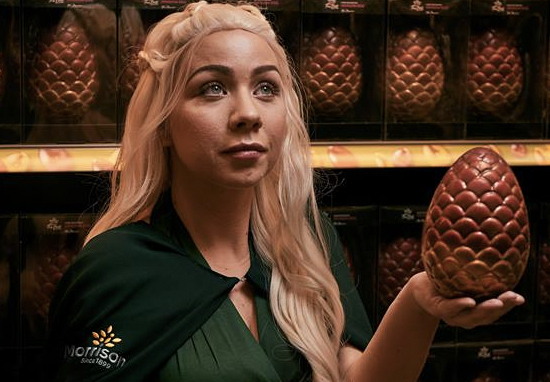 Proving the feast of Easter isn’t about celebrating the death and resurrection of your lord and saviour, Jesus Christ, but is instead about what novelty chocolate eggs you’ll be eating come April 1, Morrisons have announced they are are selling Game of Thrones-themed Easter eggs. 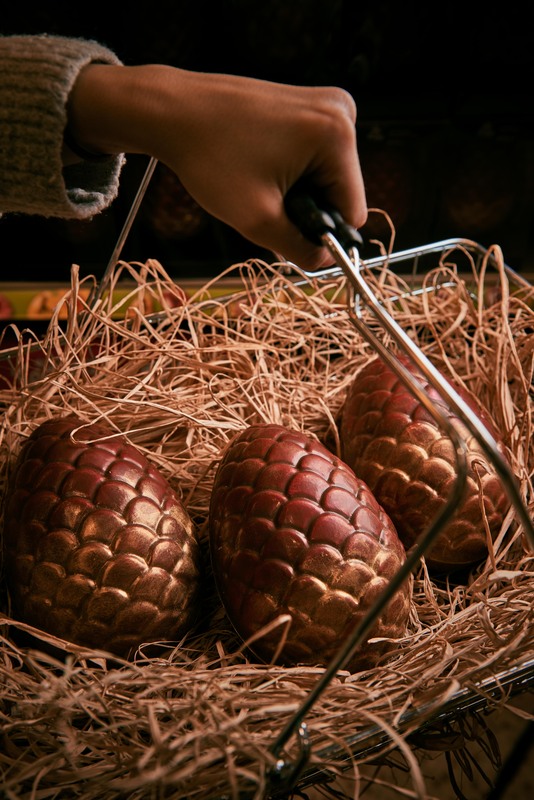 As you can imagine the chocolate goodness has been designed to look like the dragon eggs given to Daenerys Targaryen (the First of Her Name, the Unburnt… etc, etc) in season one, although instead of a fire-breathing dragon hatching from the shell you’ll just be greeted with a hollow shell of nothing – not including the chocolate. Luckily you won’t have to scour the Seven Kingdoms or sail across the Narrow Sea to get your hands on them, Morrisons have started selling them in stores across the UK. 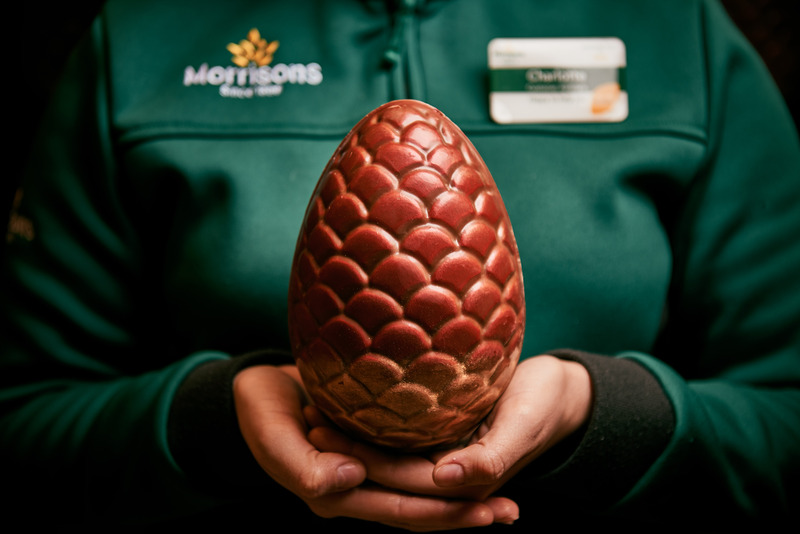 Their ultimate ‘Dragon Egg’ measures at 20 centimetres high, weighs 240 grams and is made from rich Belgian milk chocolate and finished with a dusting of ruby red and gold lustre. 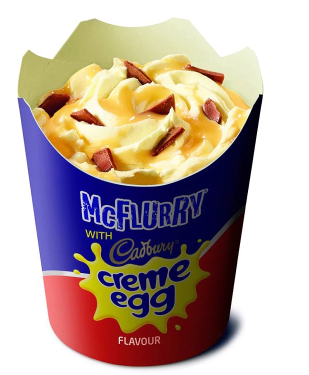 Morrisons isn’t the only company dishing out Easter exclusives, McDonald’s are giving their popular McFlurry range a revamp with the launch of the creme egg McFlurry. The McFlurry is an institution in its own right, becoming one of the most popular things on the Maccy D’s menu. With a mixture of soft-serve ice cream and crunchy pieces of chocolate joy, it’s a sure-fire winner by anyone’s standards. But the creme egg version of the dessert sounds particularly delightful: the ice cream is blended with the yolky part of the inside of the snack, which sounds like the ambrosia of the gods. The chocolate casing of the egg is then distributed on top. Unfortunately, as delicious as this all sounds the only drawback is it’s only available (for now) in Australia and Canada – we await an announcement for a UK launch as much as we’re looking forward to *fingers crossed* summer.